Today’s automotive market includes plenty of offers for all pockets. Whether you want a very affordable car to take you from point A to B or a very expensive luxury sedan or supercar, you have plenty to choose from. But what if you’re stuck somewhere in the middle with $50,000 and you’re not sure at what segments to look at? Well, you’ll need plenty of time to consider all options, but here’s a list of candidates you should really look into. Whether you’re looking for a sports coupe, a sedan, a small crossover, or even an EV, this list includes some of the best options out there. Performance cars are usually associated with high stickers, but there’s plenty of them out there available for less than $50,000. The Chevrolet Camaro SS is one of the best options you have. A V-8 powered Camaro starts from $37,995, for which you get the 1SS trim. On top of the 455-horsepower mill, you also get 20-inch aluminum wheels, Brembo disc brakes, and LED lights. Opt for the 2SS trim, priced from $42,995, and Chevy throws in heated and ventilated leather seats, dual-zone climate control, an eight-inch infotainment display, and a Bose premium audio system. On top of the solid equipment package, the Camaro looks pretty cool with Chevy’s latest design updates. Read our full review on the 2019 Chevrolet Camaro SS. 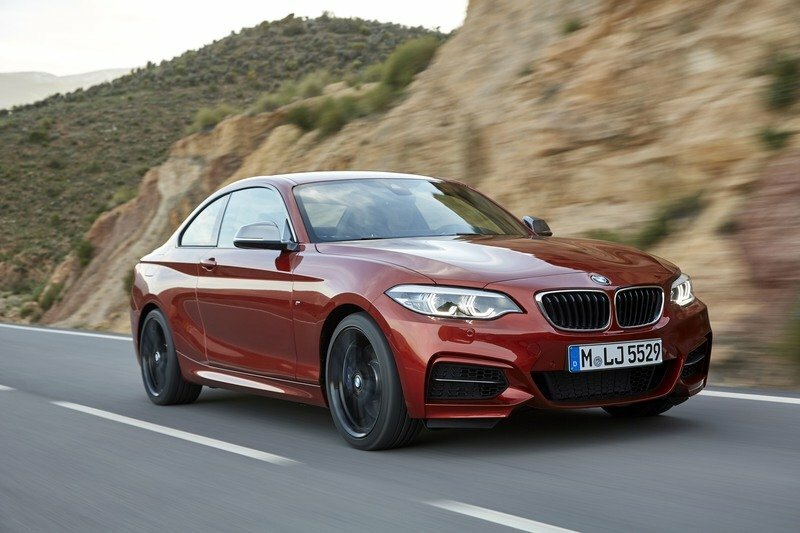 If you want a sporty coupe but you’re not willing to blow a full $50K, the BMW 2 Series provides great bang for the buck. While not as revered as the 3 Series, the 2 Series is actually a very cool and underrated option. It’s size is very similar to the original 3 Series and it’s power-to-weight ratio is usually better than the larger 3 Series with similar specs. The base 230i trim with almost 250 horsepower will set you back $35,300 before options. Add the AWD option and it will cost $37,300. You can always go with the more powerful M240i (335 horsepower), but this model will blow your entire budget and won’t leave you much to spend on options. The XC40 may looks like an SUV, but it’s compact enough to be an ideal commuter and it’s sporty enough for fast trips on the highway. The cool thing is that it's not overly expensive and you can buy the range-topping Inscription trim for $38,250. This package brings you a standard nine-inch infotainment touch screen, a massive 12.3-inch instrument cluster display, unique 18-inch wheels, chrome accents, and leather upholstery. The crystal gear knob made by renowned Swedish glassmaker Orrefors and the panoramic moonroof round of a luxurious cabin that only a handful of competitors can match. The range-topping model also features the powerful T5 drivetrain in an AWD setup. 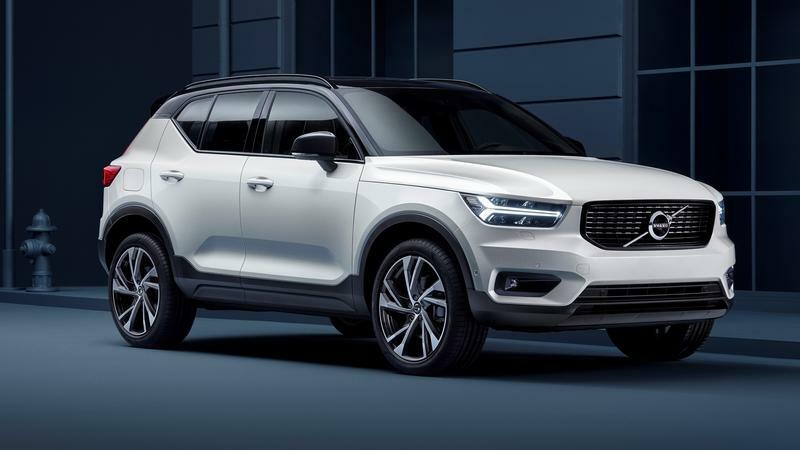 Read our full review on the 2019 Volvo XC40. The Ford Mustang GT is a great way to park a high-performance car in your garage without robbing a bank. The pony car is downright affordable in base trim at $26,395, but the V-8-powered Mustang GT isn't very expensive either. Priced from $35,355, it adds the powerful 5.0-liter Coyote V-8, Track-prepped apps for the digital instrument cluster, a Rev Matching feature for the manual transmission, and a leather-wrapped steering wheel. It also comes with launch control, an upgraded suspension, a limited-slip rear axle, and vented disc brakes at all four corners. 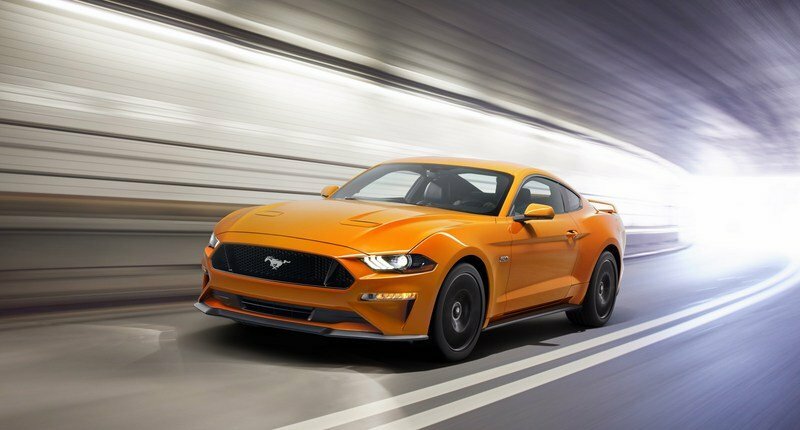 Read our full review on the 2019 Ford Mustang GT. The Mazda MX-5 Miata RF is a good choice if you want a lightweight sports car that won’t tear your piggy bank to shreds. It’s also a cool option if you want a drop-top for those warm summer days that’s still practical during the cold season. 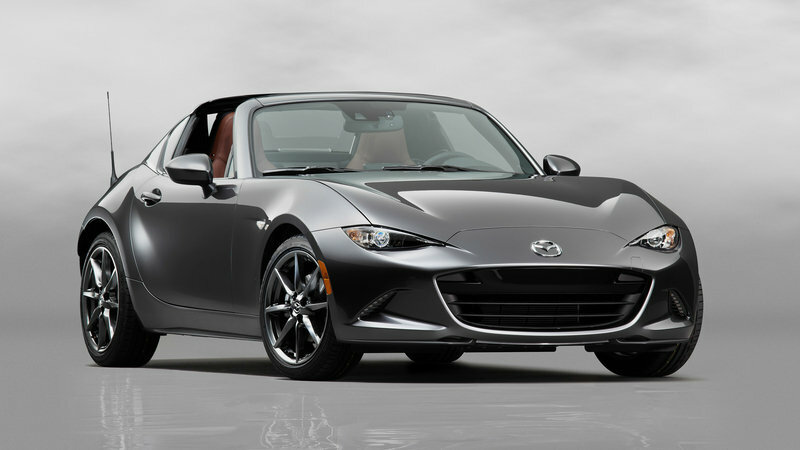 While the regular Miata is a soft-top option only, the RF has an actual metal roof with a removable top. Pretty cool, right? The Miata RF is affordable no matter the trim. You can either go with the base Club model for $32,945 or get the optioned-up Grand Touring version for $34,410. The latter brings you extras like 17-inch wheels in dark silver, rain-sensing wipers, automatic climate control, leather seats, a navigation system, and a Bose nine-speaker audio system. Fuel economy isn’t bad either, as the Miata RF can return up to 35 mpg on the highway. Read our full review on the 2019 Mazda MX-5 Miata RF. For $50,000 you can easily combine the practicality of a sedan with the performance of a sports car. And you can do that with the Subaru WRX STI. A compact four-door inspired by Subaru’s successful ventures in the World Rally Championship, the WRX STI can easily become a family car when you need passenger and luggage room. But you can use it a full-fledged sports car on the race track during weekends or whenever you feel the need to push a boxer engine to its limit. At 305 horsepower, the WRX STI churns out more oomph than many respectable sports cars, and it won't leave you debt. The WRX retails from only $27,195, so you still have plenty to spend on track time and fun-packed trips. 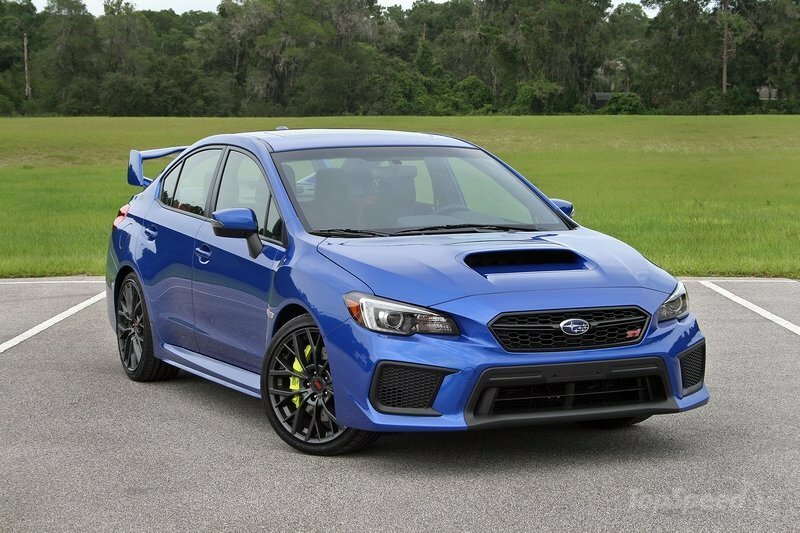 Read our full review on the 2019 Subaru WRX STI. The Mazda CX-5 is one of the sportiest looking crossovers on the market, and the 2019-model-year update turned it into one of the best-equipped non-premium vehicles you can buy. As long as you buy the mid-range Grand Touring trim. For $31,445 before options, Grand Touring comes with full LED lights, 19-inch alloy wheels, heated mirrors, a power moonroof, leather seats, power-adjustable driver seat, a navigation system, and a Bose audio system. But for an extra $5,500 you can get the range-topping Signature model. New for the 2019 model year, it adds a more powerful engine, G-Vectoring Control Plus, LED lighting in the glovebox and trunk, wood trim, Nappa leather seats, and 360-degree view monitor. The Grand Touring model remains the better option though, as the Signature model enters a heavily contested territory with strong premium automakers. 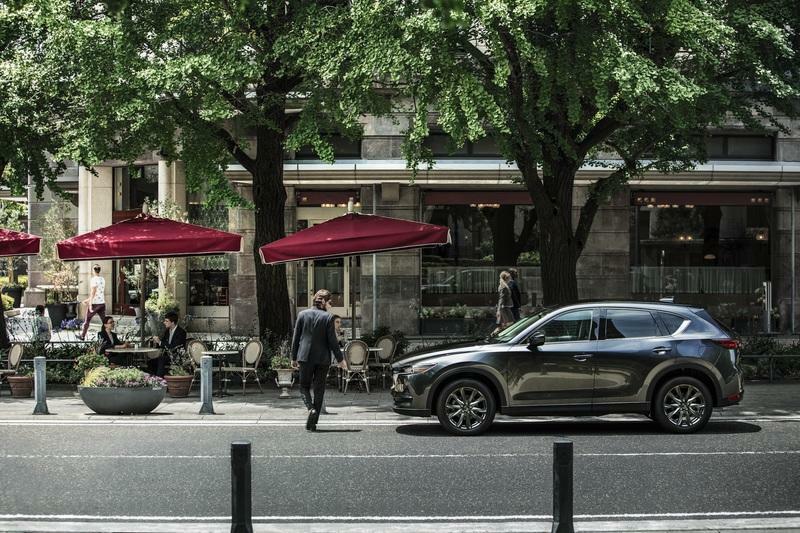 Read our full review on the 2019 Mazda CX-5. If you’re the adventurous type that like to wander off the beaten path, the Jeep Wrangler is the perfect vehicle. Because you can get a lot of SUV for $50,000. The base model starts off at $28,940, but you can easily go with the Rubicon in this budget. Priced from $38,940 in two-door trim or $42,440 with a four-door configuration, the Rubicon includes 17-inch wheels, locking front and rear axles, the Uconnect system with a seven-inch touchscreen, the Rock-Track 4x4 system, and the electronic front sway bar disconnect system as standard. It can tow up to 3,500 pounds so you can always attach a trailer to haul camping stuff or other gear. 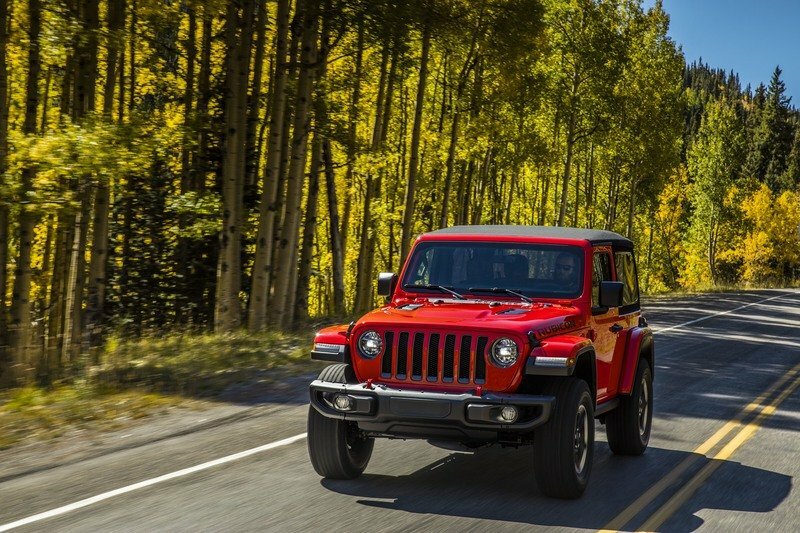 Read our full review on the 2019 Jeep Wrangler. The A-Class Sedan is a cool subcompact that will allow you to navigate through crowded and small city streets. It’s the perfect commuter if you don’t get out on the highway much and it will get you places in style. Based on the hatchback model we don't get in the U.S., this little sedan looks sporty, and it's packed with loads of new features, including the smart MBUX infotainment system. You can’t go beyond the turbocharged, 2.0-liter four-cylinder engine, but 188 horsepower is enough to get you to 60 mph quick. This subcompact starts from $32,500, while the AWD version wearing the 4Matic badge will set you back $34,500. For $50,000 you can always buy an electric vehicle. 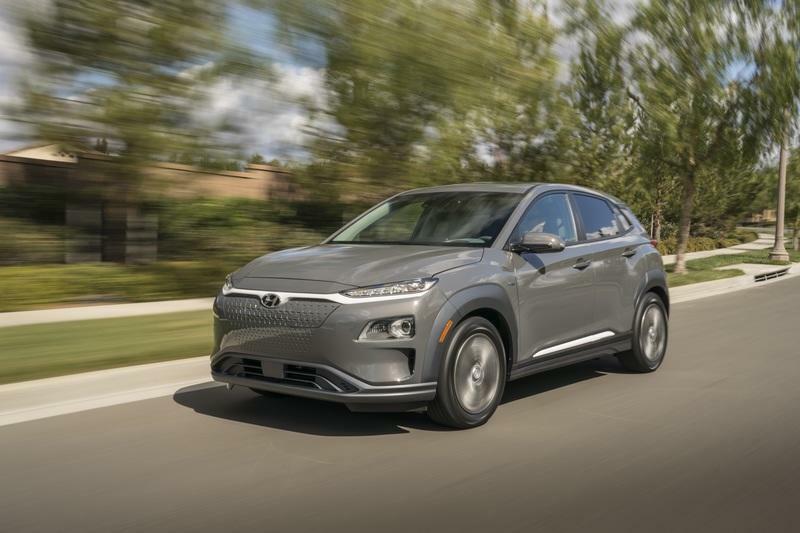 And while Tesla is the automaker trending right now, the Hyundai Kona Electric is also a good option. Boasting a modern design that’s actually sporty on the outside, the Kona Electric features a sizable infotainment display, the latest apps, and leather upholstery in the more expensive trims. Priced from $36,450, the entry-level model has a 201-horsepower and 291-pound-foot motor and a battery that returns 258 miles per charge. 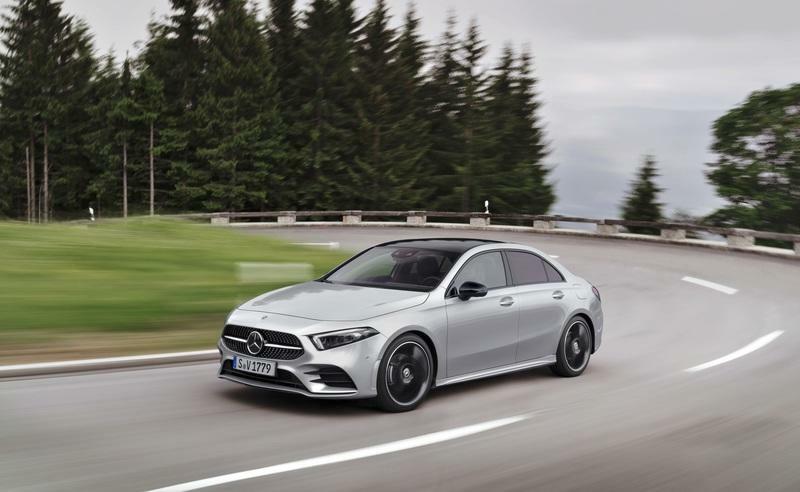 Highlights include technologies like Forward Collision-Avoidance Assist, Blind-Spot Collision Warning, Driver Attention Warning, and Android Auto and Apple CarPlay connectivity.